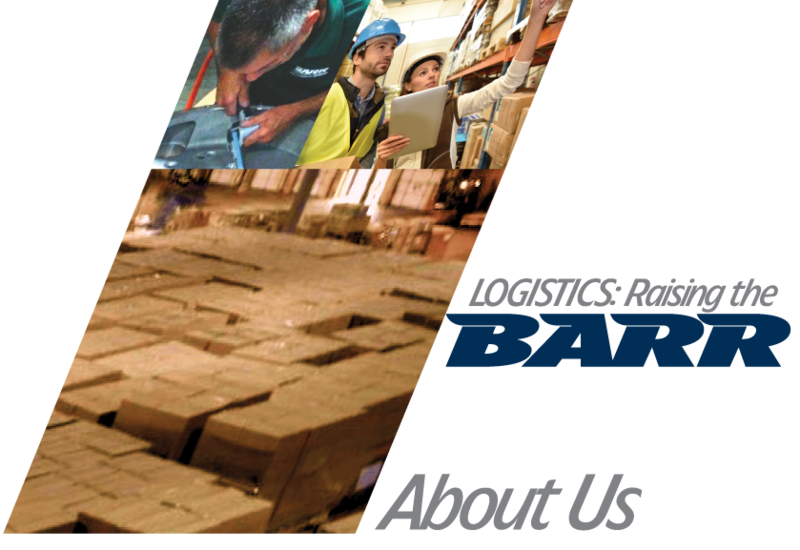 BARR FREIGHT SYSTEM is a family owned and operated Full-Service Transportation and Logistics specialist to the world. Our full range of trucking, material and container handling, storage and logistics and the vast experience of our staff are at your command. Decades of hard work created our success. In 1941, Sam J. Barranco purchased Freeport Fast Freight, Inc. providing the foundations of his family's American Dream and expanding the operation for generations to build upon. 1965 brought major growth as sons John and Bill expanded trailer leasing. In 1980, Barr Freight System began as a contract carrier and authorized common carrier certified handling LTL (less-than-truckload) plus truckloads. John managed leasing, while Bill focused on expansion. Leveraging mid-1990s intermodal global shipping and distribution growth trends, we became a U.S. Customs Bonded Freight Station and certified U.S. Cartman. Today, Barr is an unbeatable Transportation and Logistics operation. Our strategically situated 200,000 square foot warehouse at Bolingbrook, Illinois is ideal for short- and long-term storage including heavy-freight materials and containers on special-built chassis. Nationwide customers are efficiently and reliably served with our comprehensive, advanced logistics/tracking systems. Bill and his three sons and nephew oversee the diverse operation, dedicated to delivering outstanding service. In our third generation, we’re empowered by a tradition of hard work and unity of purpose. Discover how our generations of family-based dedication, skill and experience can drive your success. Today, Barr is an unbeatable Transportation and Logistics operation. Our strategically situated 112,780-foot warehouse at Bolingbrook, Illinois is ideal for short- and long-term storage including heavy-freight materials and containers on special-built chassis. Nationwide customers are efficiently and reliably served with our comprehensive, advanced logistics/tracking systems. Bill and his three sons and nephew oversee the diverse operation, dedicated to delivering outstanding service. In our third generation, we’re empowered by a tradition of hard work and unity of purpose.